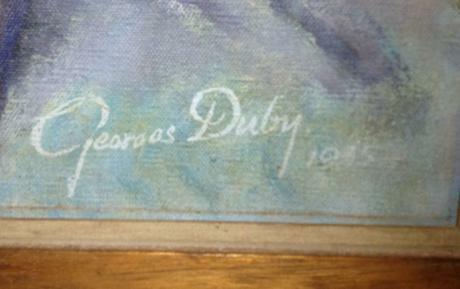 UPDATE, from Peter Duby “This painting is by my father, Georges Marcel Theophile Duby (1911-1997), not by the French medieval historian with the similar name, Georges Michel Claude Duby. I would have recognized the portrait by style and technique alone – without the, to me, familiar signature. 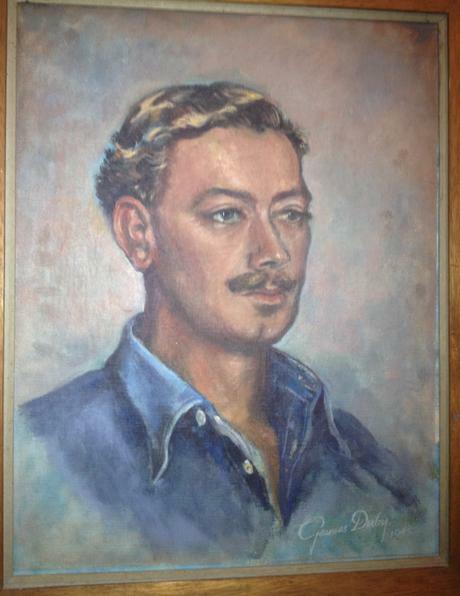 My father was an artist, and I would have thought that this portrait was done in 1945 - shortly after his return from military service with the South African Air Force. I don’t know with certainty who is portrayed, but it is probably one of his airforce chums, my guess his Capt. Louis Gordon (of 12 Squadron SAAF, awarded the Distinguished Flying Cross in 1942 and remained in the SAAF after the war). Many Thanks to Peter Duby for the information!